Sleep and relationship satisfaction - are they linked? Home » Blog » Sleep and Relationships: Insomnia and what’s love got to do with it? Sleep and Relationships: Insomnia and what’s love got to do with it? A partner’s sleep can influence our own, and vice versa. Research from Dr. Wendy Troxel, a behavioral scientist at RAND and advisor to Sleeprate, has shown that relationship conflict can spill into shared sleeping problems at night, which in turn can fuel even more relationship conflict the next day. On the other hand, higher levels of relationship satisfaction have been linked to better sleep. Researchers are still not clear on exactly how healthy relationships improve sleep. One suggestion is that a good relationship confers feelings of safety and security which can help people fall asleep faster and sleep more deeply. On the other hand, research has compared couples on nights when they slept together versus apart. One study found that when couples sleep together they reported being more satisfied with their sleep, although they actually spent less time in what is known as deep sleep, a stage of sleep important for processes of recovery and repair. 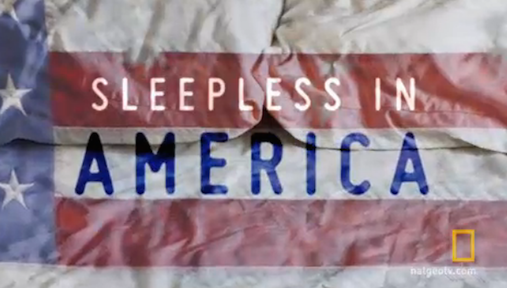 For more information, watch Sleepless in America. Premiers on the National Geographic Channel, on November 30th, 8/7 central.